The Hall of Fame class of ‘19 for WWE is an interesting mix of legends from the Attitude Era, Rock n’ Wrestling, and WCW. 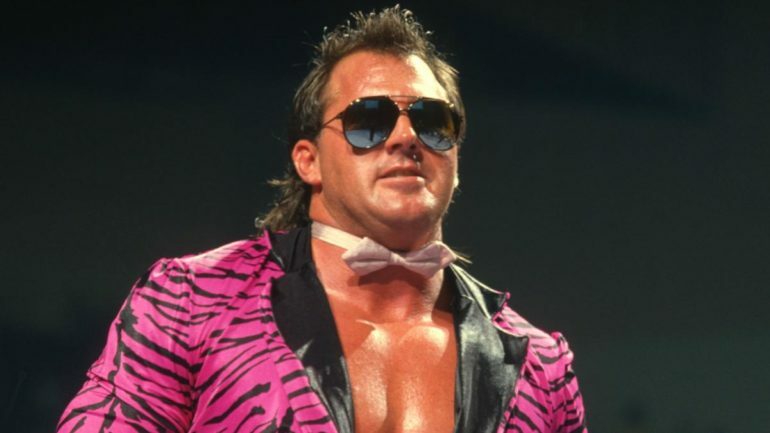 Chyna, Torrie Wilson, Stevie Ray, Honky Tonk Man, and Brutus Beefcake are all going in and they all deserve to have their place etched in history as HOF’ers. Some of them, in fact, are overdue for the honor. Beefcake and Honky could and should have gone in already, and Chyna most definitely was robbed all these years of Hall-of-Fame status irrespective of her personal troubles. All that aside, as high-profile and exciting as this year’s class is, it revealed a truth about the Hall, and wrestling itself, that is uncomfortable for a select few who see nothing beyond the main event card and title wins. That truth: there’s more to the industry than those two things. Don’t get me wrong, wins and losses matter, more than WWE thinks. But, acknowledging that, you have to concede something rather obvious. See, what makes an individual career and a legendary moment relies on more than record books. Getting over means more than winning the big one or main-eventing WrestleMania. Truth be told, performers get over and foster a connection with the crowd long before they have a title to their name. And people who are unquestionably HOF worthy act as living proof. Take, for example, The Undertaker. Yes, he’s been everywhere and done it all, won several championships, and has the longest undefeated streak in Mania history. And yet that’s not the totality of what puts him in the Hall. Arguably, his accomplishments simply magnify the root of his success — the gimmick. One of the best big men ever, Mark Calloway is a gifted athlete but he wouldn’t be where he is without the Deadman character. He could have won world titles, won at WrestleMania, and wrestled many of the greats the world over as any other persona, but in no way would it have been the same. It’s being The Undertaker that helped him stand the test of time, with minor tweaks here and there. Changing up the look to the cult-like Ministry Taker and The American Badass were flashes in the pan a lot of fans don’t miss. Most of his career has been spent on top, but his world championship count is nowhere near that of Ric Flair, Triple H, Hulk Hogan, or John Cena. And it is objectively too late for him to come back and have the kind of sustained run with one of the top belts enjoyed by Brock Lesnar, AJ Styles, and CM Punk. The bottom line: what puts Taker in the Hall is he was always compelling and entertaining. In turn, the question is begged as to who else of a similar mold makes it in one of these days. The names that come up are, at times, called debatable or considered outlandish. Still, there’s no denying they are Hall of Fame bound if fans and their compatriots have anything to say about it. Owen Hart might be remembered for the worst reason possible — his tragic death — however, we can’t minimize or neglect his achievements. He was a former King of the Ring, former Intercontinental, European, and multiple tag-team champion, Slammy winner, and participant in some of the best matches of all time against the greats (such as his brother) on the big shows (including WrestleMania and Summerslam). Hart could work with anybody and make the best out of the worst. Sure, he broke Steve Austin’s neck, but he also soaked up the heat after the incident. Dropping the IC belt to Austin wouldn’t have meant as much if Owen didn’t have the heat to give the Rattlesnake. Owen’s name didn’t hold him back but it didn’t give him as many breaks as one might think either. When it did help him, when he wasn’t stuck as the Blue Blazer, it enhanced what he brought to the table. And he’s still remembered fondly, by all, as a Hart and a wrestler. Brian Pillman is another whose place in history is solidified by more than titles held. He lived his Loose Cannon character in a Method acting sort of way and people bought into it. To this day, he shows no sign of fading away despite passing over two decades ago, leaving everyone wondering what could have been. In terms of the time he had, he owned it. You can’t dispute what a hot property he was, even after injuries grounded his ring work. The list goes on. No doubt Raven, Tommy Dreamer, Sandman, Stevie Richards, and quite possibly the likes of Scotty 2 Hotty and the Blue Meanie have a future spot in the HOF. If Torrie Wilson, Stevie Ray, and for some reason Jim Neidhart can evoke skepticism as inductees then the least likely alumni of the roster (Meanie, Scotty) can be a sure thing. Conversely, real shoe-ins (Raven, Dreamer, Sandman) can come across as less appealing prospects. “Debatable” is in the eye of the jaded, smarky beholder. WWE’s Hall of Fame is open to anybody who has given the business something to remember them by. Inductees don’t need the most title wins or a spotless record. Though those help, they aren’t the last word.